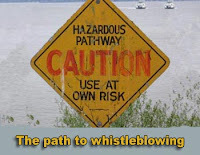 Workplace Bully and Corruption Whistleblower: Dear Public Trustee Office of South Australia. YOU are leaking like a sieve. By the end of each week, I have collected enough anecdotes for another chapter in my WORKPLACE BULLYING IN THE PUBLIC SERVICE bulging, heavyweight manila folder. I love Blogging. That neat little Comment As:ANONYMOUS Post button at the bottom. Of course, not all messages ring true. Some are mischievous, others...well, I’ve been insulted by experts! However, having worked at Public Trustee for 6 years, just way tooooo many keep ringing the same old bells. Mr. Bodycoat. Thee Public Trustee. At the 2009 Parliamentary Inquiry, you gave a glowing report on your efforts to turnaround various cultural aspects of the Office. And, having worked with you for 2 years at Consumer Affairs, no one can convince me that your endeavours are anything other than fair dinkum. BUT, your problem, an insurmountable problem is...people have seen how I was treated (and some others who stood up) and where I ended up! They do not want to travel that path. There were other ‘alleged’ bullies investigated by the Government Investigations Unit during its long sojourn. Unfortunately, the Moss Inquiry only dealt with one. And, the flow-on from that GUILTY VERDICT should have Attorney-General Department bureaucrats, CEO Jerome Maguire, AND ATTORNEY GENERAL MICHAEL ATKINSON hanging their collection of heads in shame! I will continue to feed serious allegations to the appropriate authorities. But then, that is what I was doing for years...with obvious huge success! Many of the allegations are extremely serious. Allegations that should only be submitted to a Corruption Watchdog, an ICAC. The Justice Portfolio, with its collection of Investigative Bodies, should NOT be investigating within! Hopefully, a truly independent Watchdog will happen, this year. If I were you, I would sit back and simply wait as you could be wasting years of your life...like I did! Labels: ICAC. Corruption Watchdog. Public Trustee. South Australian Public Service. Attorney-General. Hi Rob. Well that has thrown the cat amongst the pigeons. You obviously are aware that your writings are monitored from here. In fact, the 'official listening post' I can see from my desk. I doubt you will be surprised to know that many who supported you from the sidelines have now turned. Particularly the ones that have moved up the ladder since you were pushed out of Public Trustee. Are you surprised? I doubt it. Keep up the good work. Much has yet to change in here. Somehow I doubt it ever will. And you are spot on in your other story. I myself felt intimidated when I mentioned to others that I wanted to submit evidence to the Parliamentary Inquiry. Sorry. Many of us were really annoyed when the Disciplinary Inquiry was only for one Manager. We made complaints abiout the other bullies but nothing happened. You are right not much has changed. New Public Trustee is a nice man but a nice man is not what is needed to clean up a toxic swamp. Some have left since you went but whay the hell should we. You should do an expose on the nepotism here and why can you retire than get wheeled straight back in as a contractor. So much for bringing people up through the ranks. You know the ones we are referring to. It is a disgrace and Mark sits in a seat at the parliamentray inquiry speaking through rose colored glasses. Keep it up Rob. If the employee Ombudsman had teeth then you would be a champion bloke to work there. Ditto an ICAC. This world would be better with more honest blokes with genuine integrity like you. It's a kind fair place to work. Even handed treatment of all. Fair access to acting. No blame policy. NOT. You Rob McKibbin have hit the nail on the head and said what others cannot. I fled to New Zealand to escape the clutches of the Public Trustee & Adult Guardian who have treated me with contempt for over a decade. I'm 57 years old, have epilepsy, two brain tumours and two kidney tumours. If it wasn't for my sister who lives in New Zealand, I would have spent the rest of my life at Bailee Henderson Hospital, Toowoomba, Queensland. Here are a couple of YouTube videos that I have made in the last two weeks. Many more to come. No one listens to emails, but add a video and guess what happens!